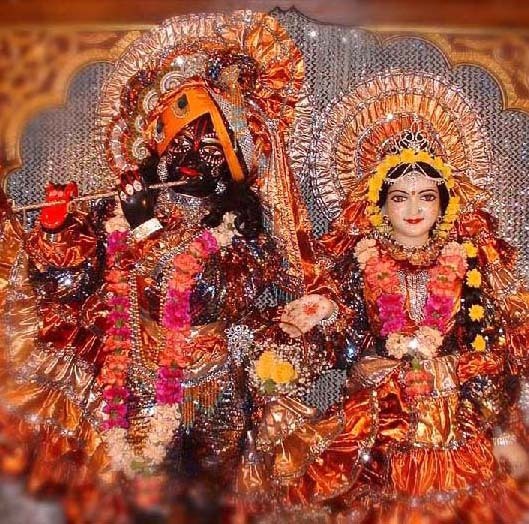 "In the Lalita-madhava, Rupa Gosvami explains that the movements of Krsna's eyebrows are just like the Yamuna, and the smiling of Radharani is just like the moonshine. When the Yamuna and the moonshine come in contact on the bank of the river, the water tastes just like nectar, and drinking it gives great satisfaction. It is as cooling as piles of snow."